A job in flydubai is not just a job. This is a chance to pursue a career in a company that takes care of your professional development as much as you do. We will give you all the tools to help you do your work and learn new skills. You have access to training, learning and leadership development along with their e-Learning Portal, where you can use a diverse portfolio of online courses to help you learn anything from time to time management to Microsoft Office. If you work on flydubai, you will get a bigger advantage as you get an opportunity to pursue your career. 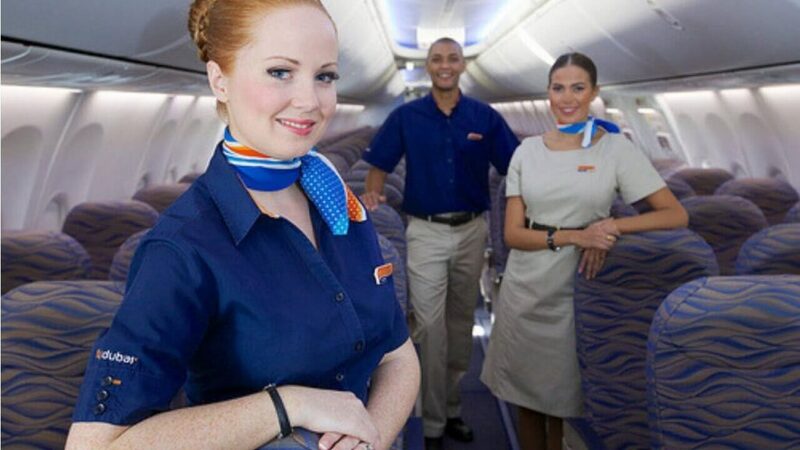 flydubai staff Benefits vary according to the role that you apply and the experiences you bring. A competitive tax-free wage, which has been benchmarked against similar industries in Europe and North America. Salary is reviewed annually and whenever possible, there is a recruitment policy for promotion from inside, so that the members of the staff are motivated to climb the career ladder. Also providing housing allowance which included with your monthly salary. An annual education allowance provide to the employees for their children in school. In addition to flying benefits on other partner airlines, unlimited discounted on flydubai tickets for employees and their immediate families. A series of employees’ discounts and offers on local products and services. To become part of many sports and social clubs. The release of a training program to enable continuous learning and development. Minimum 21 working days annual leave apart from public holidays. According to the UAE Labor Law, the termination of the gratuity, the basic salary of 21 days per year for the first 5 years of service and then the basic salary of 30 days for each year of service beyond 5 years of service. according. A government pension scheme for qualified UAE national and GCC citizens.